In 1970, one of Shiro Kuramata’s most daring creations amazed the world with its unconventional form and apparently impossible lightness of form. For two and a half decades, Shiro Kuramata created some of the most unusual and influential architectural interiors and pieces of furniture. As head of Kuramata Design Office in Tokyo, which he founded in 1965, he found new applications for industrial materials such as wire mesh – and found fame in doing so. He’s been credited with inventing a new design vocabulary, where pieces create a sensation of floating lines and weightlessness, of transparency and light. His work forms part of the permanent collections of some of the world’s leading art and design museums, and his popularity and lasting influence has long been reflected in the prices that his pieces achieve at auction – such as the US$86,000 that his Miss Blanche chair fetched at a Christie’s auction back in 1990. That was also the year that his enormous contribution to art and design was recognised by the government of France, who awarded him the prestigious Ordre des Arts et des Lettres just one year before he died. It was back in 1970, however, that this Icon was created and wowed designers and consumers alike with its daring and utterly unconventional shape. 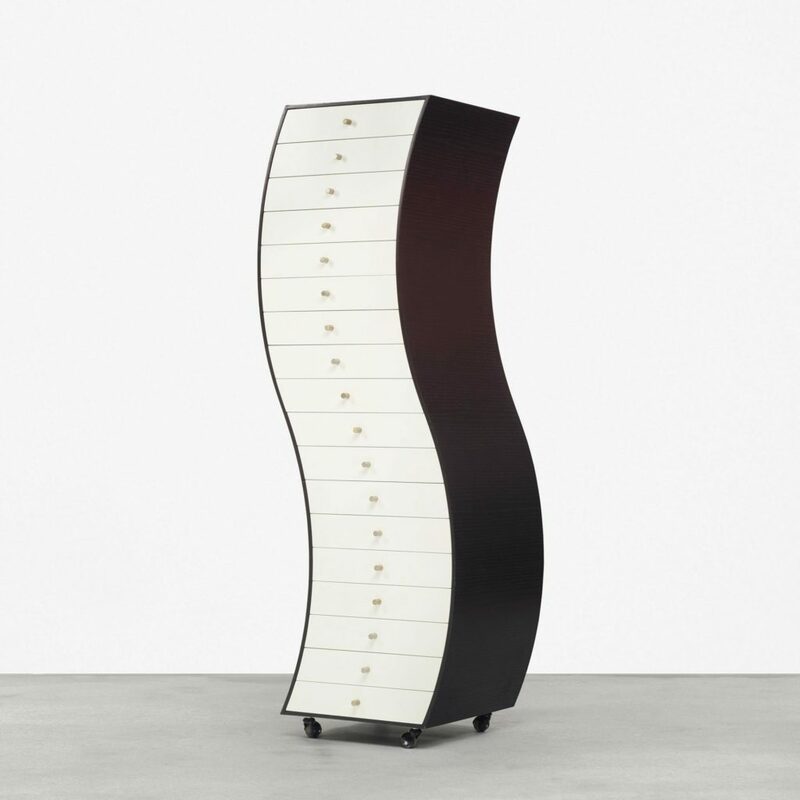 Furniture in Irregular Forms resulted from Kuramata’s experimentation during the 1960s and resembles a chest of drawers that’s been exposed to enough heat to make it start melting. Two versions were produced: Side 1, with a wave-like curve from right to left and back again; and Side 2, whose sides were straight but had a front-back curve that was most obvious when viewed from the side. Yet the bent shape does not create the impression of an object buckling under weight – rather of one that is reaching upwards, impossibly light in form.